Here is the list of activity and volunteer days held at Gedling Country Park this year as well as other activities of the Friends of Gedling Country Park group. If you are interested in volunteering or getting involved in any of these events, please Contact Us. The Friends of Gedling Country Park organise an extensive programme of volunteer activities, which for early 2019 will involve the maintenance of last year's tree planting, willow weaving of fences and bird hides, scrub clearance in grassland areas, and creating the northern walkway. Volunteer days are most Sunday's, with the exact list printed on paper and displayed on the wooden notice board just outside the main entrance to Cafe 1899. ​All times are 10.30am to 1.30pm. Please meet at the FGCP green container, next to the children's play area. Please wear suitable clothing and strong shoes/boots.​ Children need to be accompanied by a parent or adult carer. Unfortunately, most work is reliant upon good weather. We will update our Facebook page if we have to cancel any of the volunteer sessions. All times are 10.00am unless stated otherwise. Please meet at the Visitor Centre near the Spring Lane car park. On the first walks we may see mixed flocks of redpoll, siskin, goldfinches and fieldfare. We will keep an eye out for Snowdrops. Brian Cluff and Mark Tyler will be giving their help in identifying the birds, plants and wildlife. Bring binoculars and camera, especially if you have a macro lens, but no dogs please. Please wear warm clothing with sensible footwear. Remember paths can be muddy. The walks will last no more than two hours but may be slow. Children need to be accompanied by a parent or adult carer. Walks will be lead by Jenny and Rod Filllingham (Friends of Gedling Country Park) with Mark Tyler and Brian Cluff presenting the wildlife. Their DVD of the park’s wildlife is still available at £15.00 per set of three discs. Gedling Parkrun is held every Saturday morning and is a 5km run - with you against the clock! Please see http://www.parkrun.org.uk/gedling/ for more information. Remember that the parkrun uses shared paths. For the continued success of the event, please give way to other park users. This won't hurt your time, it won't stop you from getting a PB and it will make sure everyone continues to enjoy the event. Wherever possible, please walk, jog or cycle to the park because parking is limited in the Spring Lane car park and if it is full please do NOT park on Spring Lane and instead park in the Lambley Lane car park. Our How To Get Here page has directions and also information on local transport. Gedling Junior Parkrun is held every Sunday morning for juniors only (4-14 years old). If you are not a junior, please try the Saturday parkrun event instead. Please see http://www.parkrun.org.uk/gedling-juniors/ for more information. Remember that the junior parkrun uses shared paths. For the continued success of the event, please give way to other park users. This won't hurt your time, it won't stop you from getting a PB and it will make sure everyone continues to enjoy the event. If you enjoy walking and socialising, then why not come along to a volunteer-led walk around Gedling Country Park, organised by Gedling Homes. They are every Wednesday - meeting at the Spring Lane car park at 10.30am. If you are coming for the first time, please arrive 10 minutes early, so that you can complete a short health questionnaire. The 2019 AGM for the Friends group was held at the Mapperley Social Club, Plains Road on Monday 21 January 2019. Details of our progress to-date, our third year as a registered charity and our future plans were discussed, and voting took place for the trustees. The minutes, agenda and annual reports are available to download from our AGM 2019 page. The Mayor of Gedling led an act of remembrance and the lighting of the beacon as part of nationwide beacon lighting ceremonies.This special event saw the beacon lit at 7.00pm to commemorate 100 years since the end of the First World War. There were then borough wide bell ringings as part of the nationwide “ringing out for peace” tributes. The Beacon Lighting Event was just one of many events taking place throughout the borough in November. For a list of other events, please visit Gedling Borough Council's World War I Remembrance Events page. The last walk this year covered the western side of the Park, leaving the main path to explore what’s hidden in the grasses - Common Blue butterflies with many hoverflies supplementing the bees in pollination efforts. We looked for mainly wildflowers, darter dragonflies, damselflies, hoverflies and other insects—the busiest time for these. Possibly the kingfisher on the ponds. Wild strawberries. We looked for Orchids - Southern and Northern Marsh, Bee and Pyramidal Orchids. More butterflies - Small Copper, Holly and Common Blues, Brown Argus. Hundreds of moths. Heron on the ponds. Our target was to find 15 species of butterflies, including the Ringlet (270 spotted by Mark in 2017 - did we beat that?) On the lower ponds, dragonflies and damselflies. Top reed pond coots, moorhens, reed buntings and warblers. We looked for: Dingy Skipper and Green Hairstreak Butterflies, in addition to the usual Peacocks, Red Admirals, Small Tortoiseshells, Commas, Green-veined Whites etc. By the ponds (rare sights) Hairy Dragonflies and the Little Egret. We tried to spot (or hear) grasshopper, willow reed and garden warblers, whitethroats, lesser whitethroats and chiffchaffs. A cuckoo passing through. Miner and other bees. Spring wildflowers. The Friends of Gedling Country Park attended this year's Gedling Village Family Gala with their own stall. Trustees were there to talk about the park and its future developments and how you can get involved. A range of wildlife booklets and guides were also on sale. 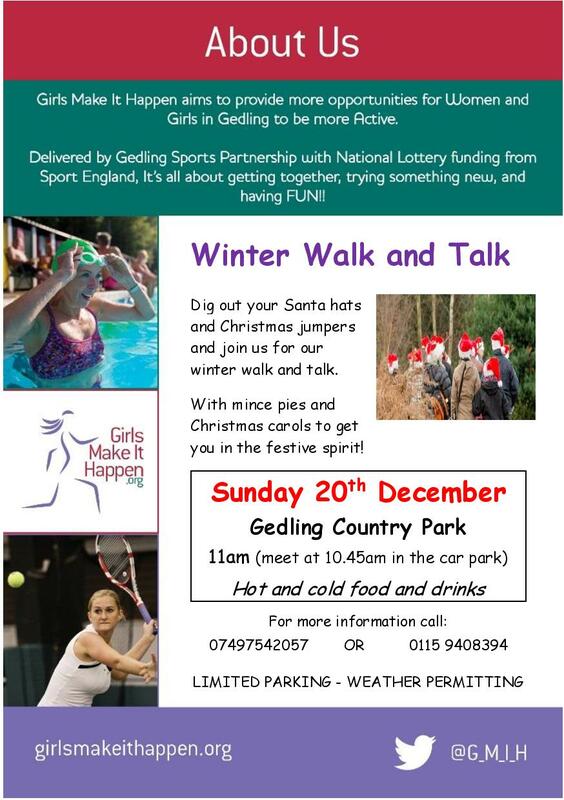 Please see http://www.gedling-gala.org.uk/ for more information. The Friends of Gedling Country Park attended this year's Arnold Carnival on a shared 'Friends' stall. We talked about the park, the recently opened memorial garden, the forthcoming work to the central lagoon and other future developments and how you can get involved. The Friends of Gedling Country Park organised a comprehensive programme of volunteer activities for this year to maintain last year's tree planting, conservation of existing and creating new Dingy Skipper habitat, willow weaving – fences and living structures such as bird hides, scrub clearance in grassland area, enhancing the northern walkway, undertake new tree planting, and further develop the memorial garden. Thanks to the generous support from Gedling Borough Council, the Co-op and other local sponsors we have been able to complete the final phases of our work on the memorial garden. This includes new mining inspired benches, raised wheelchair-friendly sensory flower beds and an interpretation board, which were officially unveiled to the public on Tuesday 06 March 2018 in Gedling Country Park. Despite the winter weather, the Friends of Gedling Country Park organised a regular programme of volunteer activities for early 2018 to undertake lagoon clearing, installation of newly built bird boxes, the building of the raised beds and planting within the memorial garden. The 2018 AGM for the Friends group was held at the Mapperley Social Club, Plains Road on Monday 22 January 2018. Details of our progress to-date, our second year as a registered charity and future plans were discussed, and voting took place for the trustees. The minutes, agenda and annual reports are available to download from our AGM 2018 page. The new memorial artwork was unveiled in Gedling Country Park in the memorial garden. The memorial garden is a place of quiet reflection where all are welcome and the Friends were able to deliver the artwork, thanks to the Nottinghamshire County Council – Supporting Local Communities funding. While it was inspired by the mining heritage of the park, it also reflects the future of this great space. Thanks go out to all those who have helped us in raising the funds to do this and also for all the volunteers who have helped in working on the garden. This event was exclusively for members of the Friends of Gedling Country Park and have a chance to meet the current Trustees and discuss the ongoing developments at the park. As a follow-on to the successful event we held in February, the Friends of Gedling Country Park held another Bird Nest Box Building event on Sunday 29 October 2017 at which another large batch of bird boxes were built by volunteers and their families (thank you!). The boxes built will be installed in Gedling Country Park during some of the winter volunteer days listed on this page. The Friends of Gedling Country Park organised an extensive programme of volunteer activities for Summer and Autumn 2017 to undertake new tree planting, willow weaving of fences and bird hides, new fencing and planting within the memorial garden. To celebrate the summer holidays, the Friends of Gedling Country Park hosted many of their popular Xplorer family fun events. Xplorer is the perfect outdoor activity for primary and pre-school children and their families. It is a navigation challenge that is educational and fun and gives children a sense of adventure as they explore the park to find the markers. It involves a healthy mix of physical activity and decision making that the whole family can enjoy together. Using a simple map the aim is to find a number of markers that are located around the park. At each marker children needed to identify what was pictured and enjoy learning a fun fact to tell their friends. Older children had fun competing against their friends or other family members whilst younger children enjoyed the excitement of successfully finding the markers. There was no charge for members of the Friends of Gedling Country Park - and for all non-members, the charge was only £1 each. Members of the public were cordially invited to meet the artist, Richard Janes, and see a model of the artwork which has been selected to be installed in the Memorial Garden. There was also be the opportunity to talk to the Trustees and have an input into what is being done in Gedling Country Park. For National Nest Box Week, the Friends of Gedling Country Park held a Bird Nest Box Building event on Sunday 19 February 2017 at which 58 bird boxes and a bat box were built by volunteers and their families (thank you!). Also thank you to Magpie Brewery who gave a generous donation to pay for the materials needed to build the boxes. The boxes built will be installed in Gedling Country Park during some of the February and March 2017 volunteer days listed on this page. The 2017 AGM for the Friends group was held at the Mapperley Social Club, Plains Road. Details of our progress to-date, our first year as a registered charity and future plans were discussed, and voting took place for the trustees. The minutes, agenda and annual reports are all on our AGM 2017 web page. During early 2017, the Friends of Gedling Country Park organised some volunteer activities to undertake new tree planting, willow weaving of fences and bird hides, scrub clearance in grassland area and continuing to enhance the new northern walkway. We also built and installed bird boxes throughout the park and started work on the memorial garden. Volunteer days were held most Sundays throughout the Winter and Spring, and some Wednesdays as well. ​Thank you to everybody who participated. During autumn and winter, the Friends of Gedling Country Park organised some volunteer activities to maintain last year’s tree planting, willow weaving – fences and living structures such as bird hides, scrub clearance in grassland area and helping to create the new northern walkway. The Friends of Gedling Country Park had a stand at the Gedling Show and Trustees were there to provide advice and information on Gedling Country Park and our future plans for development. We also promoted our membership scheme for the Friends group (see our Get Involved page for more information on the benefits of membership). Please see http://www.gedling.gov.uk/leisure/artseventsandplay/gedlingshow/ for more information. Using a simple map the aim is to find a number of markers that are located around the park. At each marker children need to identify what is pictured and enjoy learning a fun fact to tell their friends. Older children will have fun competing against their friends or other family members whilst younger children will enjoy the excitement of successfully finding the markers. There was no charge for members of the Friends of Gedling Country Park (if they brought their membership card) - and for all non-members, the charge was only £1 each. During the summer, the Friends of Gedling Country Park organised some volunteer activities to prepare material for chipping, willow planting and sowing wild flower seeds in the Butterfly Walk. ​​Thank you to everybody who participated. The Friends of Gedling Country Park attending this year's Gedling Village Family Gala with their own stall. Trustees were there to talk about the park and its future developments and how you can get involved. A range of wildlife booklets and guides were also on sale. The Friends of Gedling Country Park attended this year's Arnold Carnival on a shared 'Friends' stall. It was held at Arnot Hill Park, Arnold and the Friends talked about the park, the soon to be opened children's play areas and other future developments and how you can get involved. The Friends of Gedling Country Park organised a range of additional volunteer days at which they undertook a variety of activities including woodland clearance, tree stump removal, butterfly walk enhancements and wild flower seeding. Thank you to everybody who participated. To celebrate half term, the Friends of Gedling Country Park hosted another of their popular Xplorer family fun events. There was a beacon lighting in the park on the evening of Thursday 21 April to celebrate the Queens 90th birthday. Carlton Brass Band was playing and the Friends exhibited in a marquee near to Spring Lane car park along with Gedling Parkrun, Gedling Homes, Gedling Play Forum, GBC Sports Development. To celebrate one year of the park being open, the Friends of Gedling Country Park hosted a fun activity day for all the family, including our popular Xplorer family fun event - but this time with an Easter twist! To celebrate International Women's Day, there was a tree planting event in Gedling Country Park with a new Lime Tree planted near to the Spring Lane car park. The Friends of Gedling Country Park and Gedling Borough Council participated in the "Clean for the Queen" national litter picking event. For more information on this initiative, please see: http://www.cleanforthequeen.co.uk/search/2365/o/997d3ba3-76b4-45b7-b095-3e9b9b04aa4f#events (opens in a new window). Our first 2016 family orienteering Xplorer event in Gedling Country Park was especially for the February half-term holidays. It was open to members of the Friends and members of the public who used the maps provided to search the park for hidden wildlife signs. The Friends of Gedling Country Park organised additional volunteer days at which they continued the scrub clearance in the new woodland activity area and also transplanted some existing willow trees into the butterfly walk area. The AGM for the Friends group was held at the Gedling Borough Council Civic Centre in the Council Chambers. Details of our progress to-date and future plans were discussed, an updated Constitution was approved by the Members and voting took place for the Trustees. For more information and copies of the annual reports and other documents, please see our AGM 2016 page. Our last family orienteering Xplorer event for 2015 in Gedling Country Park was especially for the Christmas holidays. It was open to members of the Friends and members of the public who used the maps provided to search the park for hidden wildlife signs. Girls Make It Happen aims to provide more opportunities for women and girls in Gedling to be more active. Plenty of people dug out their Santa hats and Christmas jumpers and joined us for a walk and talk in Gedling Country Park on Sunday 20 December. Most of the trees were trimmed and used to provide insect and small mammal areas within other wooded areas. Once again, thank you to all of the volunteers who helped us on the day. The Friends of Gedling Country Park planted trees on the north western boundary of the park on each of these Sundays. We had 420 trees kindly donated to us by the Woodland Trust, which we planted via the simple method of slit planting. Thank you to all of the volunteers who helped us with this activity. Over 100 members of the public met Members and Trustees of the Friends of Gedling Country Park at Mapperley Social Club for an informative social event with refreshments provided. We discussed plans for the park, updates on what we have done to date and also news about the planned housing developments around the park (Spring Lane and Arnold Lane). It was also a chance to buy the first ever jars of Gedling Country Park Honey and many people did - so thank you! The October half-term family orienteering Xplorer event held in Gedling Country Park proved to be a great success for the many families who participated. It was open to members of the Friends and members of the public who used the maps provided to search the park for hidden wildlife signs. Gedling Borough Council and the Friends of Gedling Country Park organised a volunteer day, which included surveying for new litter bins, litter picking and spotting future sites for tree planting. Nature specialist and Trustee Brian Osborne led a dawn wildlife walk - where his intrepid visitors caught the sunrise over Gedling Country Park. The Friends of Gedling Country Park had a stand at the Gedling Show and Trustees were there to provide advice and information on Gedling Country Park and our future plans for development. We promoted our membership scheme for the Friends group (see our Get Involved page for more information on the benefits of membership) and signed up a number of volunteers to help out with future activities. We also exhibited one of our new bee hives, which we will be installing into the park to produce local honey. Thank you to everybody who gave their valuable time to help! A rainy Bank Holiday Monday didn't stop the family fun day being held in the park. As well as the two orienteering events detailed below, there were wildlife trails for children, guided walks and much more. The Friends of Gedling Country Park, Gedling Borough Council had stands and the Nottinghamshire Photographic Society were on hand to give out tips to budding wildlife photographers. Tom Evans, a professional Ecologist with a passion for butterflies and birds provided a display of British butterfly specimens along with guided walks looking at the butterfly and bird species of Gedling Country Park. The final summer holiday family orienteering Xplorer events held in Gedling Country Park this year were hampered by rain for most of the day. But that didn't stop some families braving the weather and enjoying themselves - using the maps, searching the park for hidden wildlife signs! The third and fourth family orienteering Xplorer events held in Gedling Country Park were busier than ever and proved to be a great success. It was open to members of the Friends and members of the public and many families took part on the day and used the maps provided to search the park for hidden wildlife signs. Our evening walk of the park was a chance to watch the moths when we set-up a special light to attract them. The Friends held their first and second family orienteering Xplorer event in Gedling Country Park. It was open to members of the Friends and members of the public and many families took part on the day and used the maps provided to search the park for hidden wildlife signs. The Friends of Gedling Country Park moved and re-plant over 85 wild orchids that were growing in the park and which would otherwise be affected by the forthcoming Spring Lane 150 homes development. Saturday 04 July - Gedling Village Family Gala "Stripes and Stars"
The Friends of Gedling Country Park attended this year's Gedling Village Family Gala with their own stall. Trustees were available to talk about the park and its future developments and how you can get involved. In addition, over 400 people signed our petition to show their support for a children's play area in the park (to help with a forthcoming funding application). Gedling Borough Council and the Fri﻿﻿en﻿﻿ds of Gedling Country Park organised a volunteer day and undertook a range of activities, including: the replanting of some fallen trees, laying out of posts for the new butterfly walk, litter clearance and a tidy up of some tree guards. Nature specialist and Trustee Brian Osborne led a dawn wildlife walk around the park - starting at 4am (yes really). This event was especially for "Friends" who wanted to see the sun come up and receive a guided tour of the park at dawn. Members and Trustees of the Friends of Gedling Country Park met for a social gathering at Lambley Village Hall with refreshments provided. They discussed the current and future planned activities and goals of the Friends group and had their say on future initiatives and ideas. Staff, tenants and members of the Gedling community came together from all over the Borough on Thursday 04 June for a walk around Gedling Country Park. What a glorious day it was too! The walkers enjoyed the activity so much that they asked that it become a regular thing! The Gedling Homes team will certainly be doing their best to fulfill that request. Watch this space for more info. Members and Trustees of the Friends of Gedling Country Park kindly volunteered to assist the council in guiding and advising visitors to the park over the bank holiday weekend - particularly in relation to car parking (for example, directing cars to the Lambley Lane car park if the Spring Lane one is full). Various Trustees of the Friends of Gedling Country Park kindly volunteered to assist the council in guiding and advising visitors to the park over the bank holiday weekend - particularly in relation to car parking (for example, directing cars to the Lambley Lane car park if the Spring Lane one is full). Gedling Borough Council and the Friends of Gedling Country Park together organised a volunteer day to clear litter and remove some tree guards from areas of woodland within the park. For more information on what happened that day, please see our Diary of a Trustee blog. The Redhill Road Runners organised a 10k run at Gedling Country Park on Sunday 29 March 2015. Following the success of previous Redhill Road Runners 10k events at Bestwood Country Park, they were proud to announce this brand new race for 2015. Further information can be found at their website (opens in a new window). Over 3,000 people braved the weather to attend the official opening and family fun day for the park. 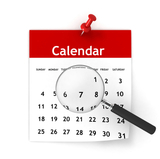 For more information about the day including the activities available, please see our Opening Day web page. 'The Big Tidy Up' campaign is run by Keep Britain Tidy and on Saturday 21 March Gedling Borough Council and the Friends of Gedling Country Park together organised their own tidy up volunteer day to clear litter within the park. For more information on what happened that day, please see our Diary of a Trustee blog.